Begin earning revenue immediately by linking our courses to your site. Provide your learners with quality, leading-edge courses that meet their continuing education needs. Simply follow the instructions below and you will be considered for immediate approval through the ALLEGRA Learning Affiliate Program. It’s that easy! There is absolutely no cost to you. Becoming an affiliate is completely risk free! Through our affiliate program, place your unique Custom Affiliate Code on your site, and we’ll pay you a 20% commission for every enrollment that it generates. We provide all the tools you need! 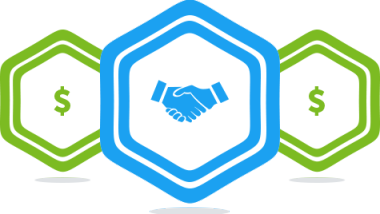 Complete and sign the Affiliate Agreement and email the agreement to us at allegra@allegralearning.com. Complete the Affiliate Form below. We will contact you once we receive both your completed inquiry form and completed, signed ALLEGRA Affiliate Agreement. Most sites qualify for participation in our program. Anyone may submit an inquiry form and signed Affiliate Agreement, but we reserve the right to refuse affiliate membership to a site or revoke an affiliate membership at any time if we feel the site contains objectionable material or does not meet ALLEGRA Learning Solution’s criteria for being an affiliate.